NX-309TB, Powerful Twin Motors,�Carton Sealing Machine (Carton Sealer) is suitable to use as a stand alone unit or in line with other packaging machines or conveyor systems. 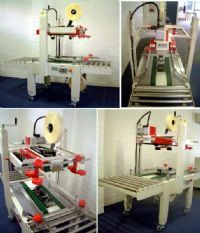 It uses standard packaging tapes, economy , fast and easy to adjust different widths and heights. 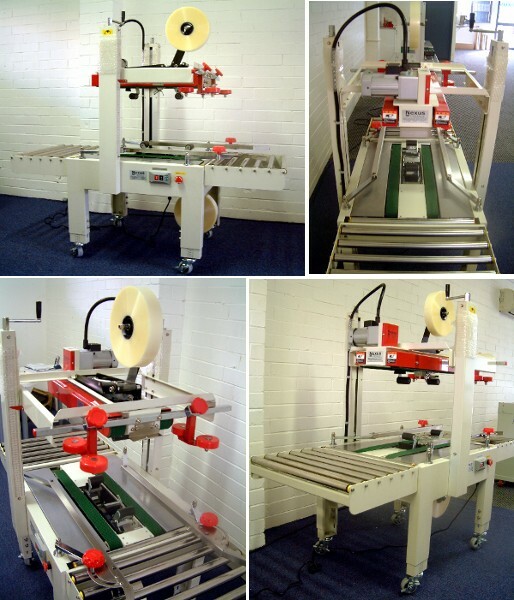 This carton sealing machine seals both top and bottom with Top and Bottom Belts Driven.